Consult your healthcare provider prior to use if you are pregnant, nursing, taking any medication or have any medical conditions. KEEP OUT OF REACH OF CHILDREN. STORE IN A COOL, DRY PLACE. DO NOT USE IF OUTER SEAL IS BROKEN. Use this product as a food supplement only. Do not use for weight reduction. 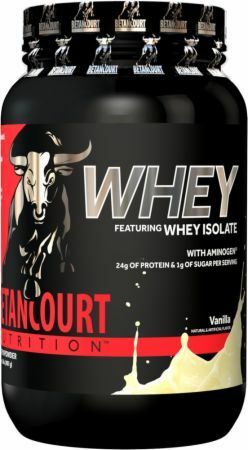 Protein blend (Whey Protein Isolate, Whey Protein Concentrate), Natural And Artificial Flavors, Soy Lecithin, Xanthan Gum, Salt, Acesulfame Potassium, Lactase, Aminogen® (proteases), Sucralose, and Glutamine Peptides.